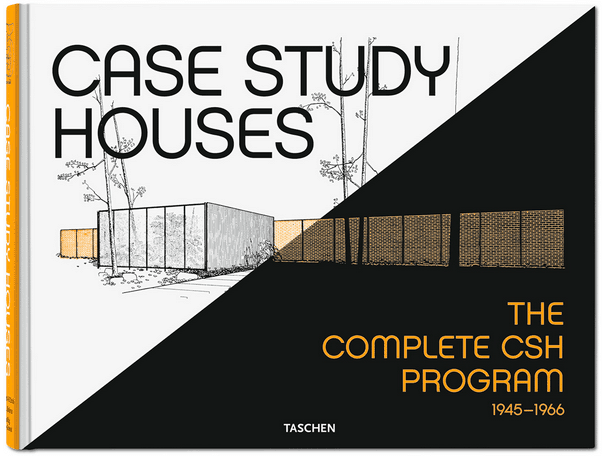 When few weeks ago we read about a new book written by architect Cory Buckner, Crestwood Hills: The Chronicle of a Modern Utopia., we remembered that she also wrote one of our favourite books about a great Modernist architect: A. Quincy Jones. Checking her site we also discovered that she was behind many restoration of Mid-century houses. 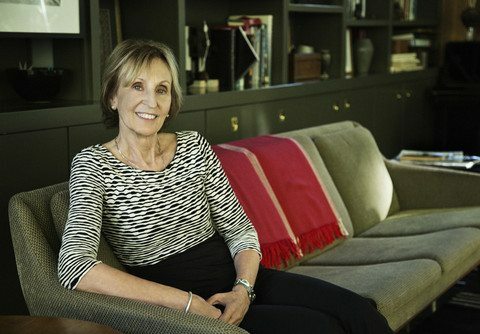 We then decided to invite her for a chat to talk about architecture, Mid-century homes and her special neighbourhood. She accepted and below is the result, enjoy! You have a M. Arch from UCLA(University of California). How did studying in a Californian institution influence your style and career path? I have an undergraduate degree in Fine Arts from CAL ARTS, formerly Chouinard Art Institute, which was what it was called when I attended. During my first year at college, I met Frederic P. Lyman, an architect. He was to become the major influence of my life introducing me to classic literature, Wagner, and architecture. I changed my focus from art to architecture two years after graduating and apprenticed with Lyman in order to get my license. I later enrolled at UCLA for masters in architectural theory and history; while simultaneously working on my book on A. Quincy Jones. 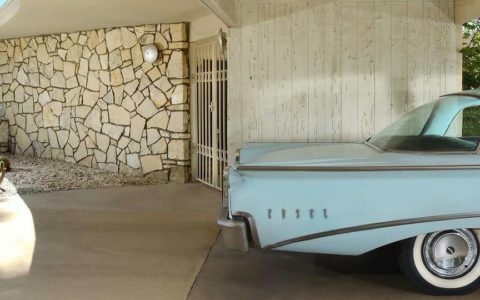 The degree from UCLA had virtually no influence on my architecture or career path but did give me a deeper understanding of the historical relevance of Mid-century design. 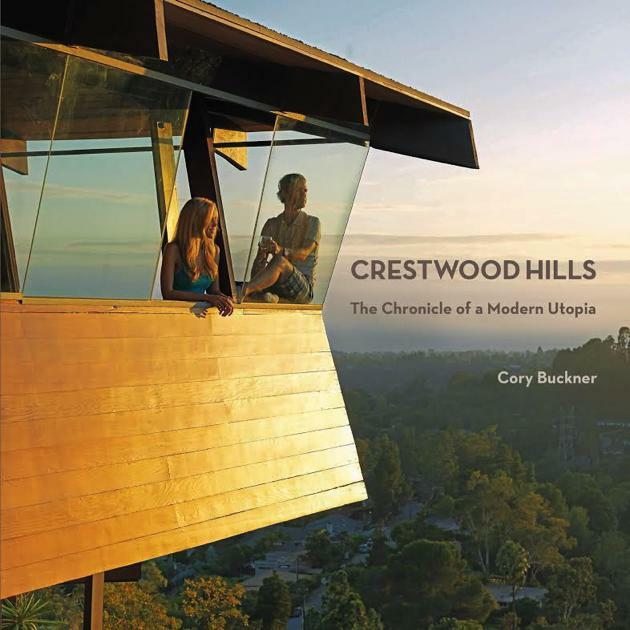 Since 1994 you’ve lived in a house designed by famous Mid-century architect A. Quincy Jones and recently wrote a book about your neighborhood “Crestwood Hills: The Chronicle of a Modern Utopia”. Tell us about the creation process. What motivated you to write the book? 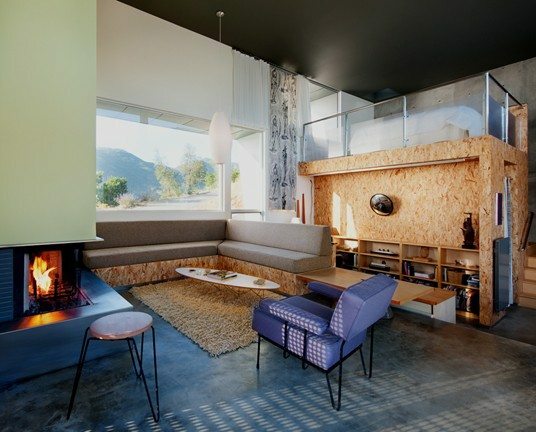 Shortly after a Malibu brush fire destroyed the house my late husband, Nick Roberts, and I designed for our family, we started the search for a replacement home in Los Angeles. Several years before the fire, I had been hired to remodel two of the original MHA houses in Crestwood Hills designed by Whitney R. Smith, A. Quincy Jones, and Edgardo Contini. I have been aware of the treasure trove that exists in our community and have collected photographs and plans from various owners. I have also managed the community archive for many years so the idea of creating a book as been percolating for many years home. As an architect I have worked on a dozen of the original MHA houses and have been instrumental in having 15 of the 19 now declared cultural/historic monuments with the City of Los Angeles. I began the book project in earnest about 4 years ago. A few years ago, a British photographer, John Dooley, contacted me to say he had read about Crestwood Hills and was interested in doing a photo book. This was an extremely fortuitous contact. John stayed in our guesthouse and spent a week photographing the remaining houses with a backdrop of brilliant sunny skies. His wonderful photos are featured in the second half of my book discussing the houses as they are today. In 2002 you also wrote what was the first book about architect A. Quincy Jones for Phaidon. Why do you think we had to wait until 2002 for a complete biography about one of the most important and celebrated 1950s architects? A. Quincy Jones’ work concentrated on meeting the needs of the client’s program and the user. He was not tied to a definite style and often went beyond the initial program to provide a complete master plan at his own expense. Similar to the way John Lautner approached a project, Jones saw each project as a challenge and opportunity to try out new structural methods or planning approaches. 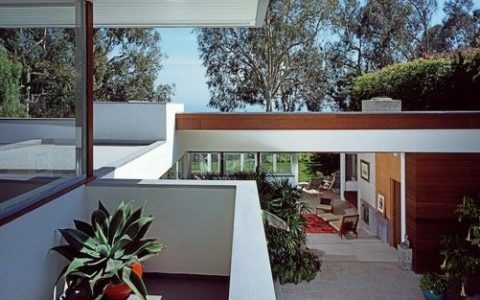 His work is not readily distinctive in terms of style as that of some of his peers such as Craig Ellwood and Richard Neutra. But, it was always designed with great care and copious details. 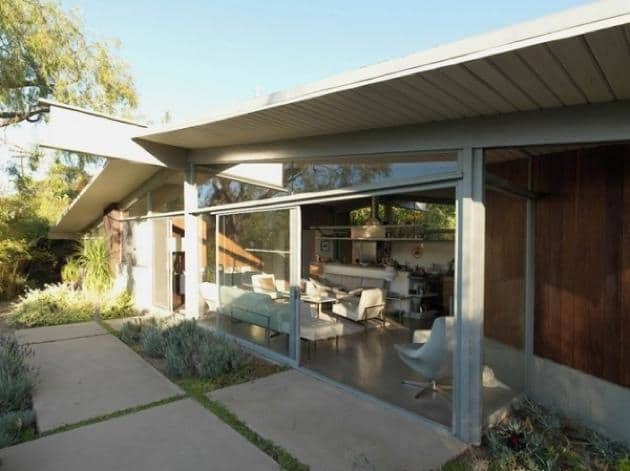 You’ve restored many Mid-century houses in your career – what is the most difficult part of the process? Do you find any significant difference in working to those houses compared to others? 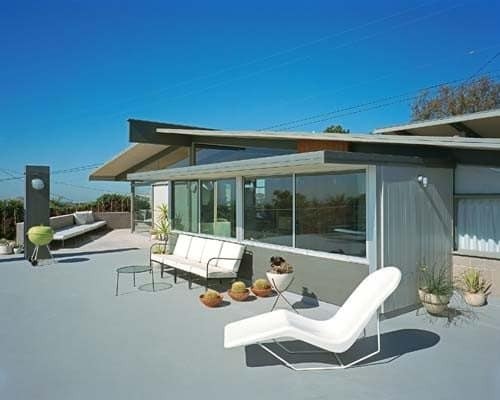 By far, the most difficult part of restoring Mid-century houses is matching materials; many of which are no longer manufactured. Materials were generally of higher quality decades ago and to find the similar materials takes a great deal of research and money. 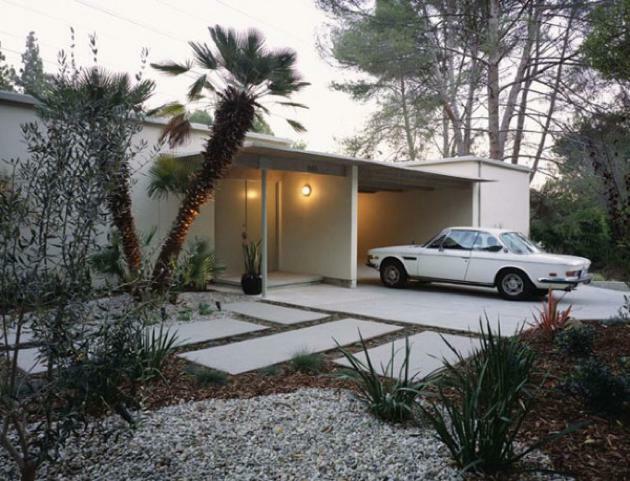 Many of the Mid-century houses featured exposed materials and structural systems, which leave little tolerance for mistakes or areas to run the heating and air systems that are standard today. 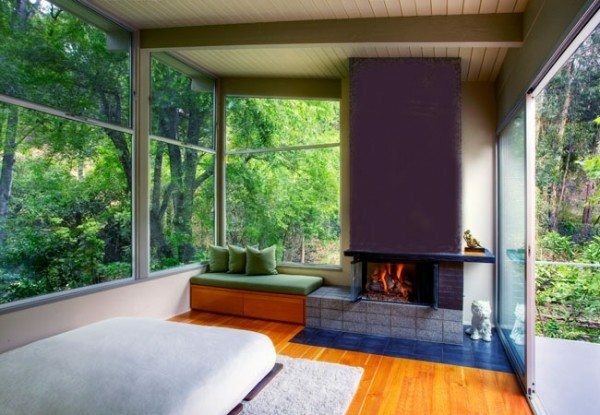 A typical remodel that is outside an established style such as Mid-century is much simpler. It is likely the structure is finished in gyp board with baseboards, which can hide a myriad of errors. 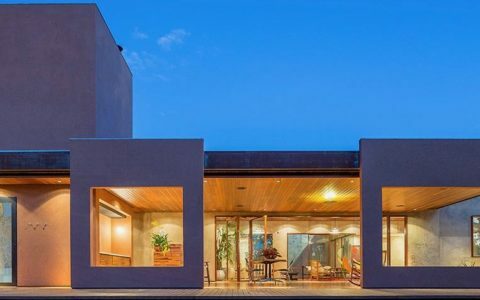 When we talk to people living in Modernist houses, they all are very much aware of the house’s importance, and the style seems to also influence their way of living and aesthetic. Is it the same for you? Generally, houses built during the postwar era that are considered Modernist were small and efficiently designed. Families accepted the fact that two kids could share a bedroom and the postwar house was designed as a ‘servantless’ house. The housewife was to be in charge of maintaining the house with the newest electrical appliances and gadgets at her disposal. There is an adjustment necessary to live happily in a home of modest size by scaling down possessions to live a modest and efficient life. The modernist architect’s interest in dissolving the boundaries of indoor and outdoor space meant plentiful glass, often floor to ceiling. The downside of this open to nature approach is the temperature fluctuations throughout the seasons. My advice is to buy a good sweater for the winter and a suitable bathing suit for the summer to survive happily in your modernist gem.